The presidential candidate of the Peoples Democratic Party (PDP) Atiku Abubakar, has assured the Academic Staff Union of Universities, ASUU, that he will end the lingering strike from his first day at work, if elected the next president of the country. 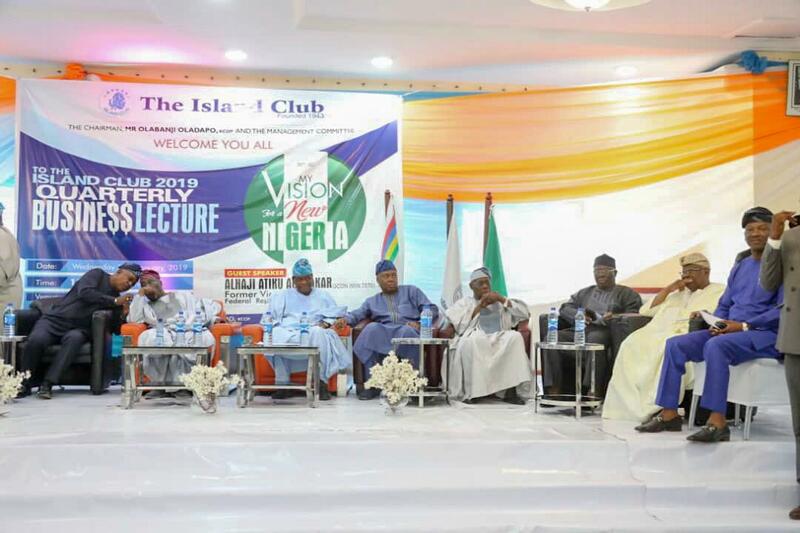 Atiku made this disclosure in Lagos, Sunday evening, at the Silverbird Man of the Year event. The former Vice President, lamenting about the ASUU strike, described it as disgraceful. He stressed that the ASUU, students and lecturers would receive his first attention as president if voted into office in the February 16 presidential election. He said “I am aghast that as I speak, our students across the nation are not being educated due to the ASUU strike caused by an unresolved debate of about N60 billion. The Buhari Campaign Organisation (BCO) on Sunday condemned the suit filed by the Coalition of Political Parties (CUPP) asking that President Muhammadu Buhari be declared medically unfit to re-contest the presidential election. In a statement by its Director of Communications and Strategic Planning, Mallam Gidado Ibrahim, the BCO said the opposition parties were merely diverting attention from their looming defeat. Former President Olusegun Obasanjo was in Lagos on Wednesday. 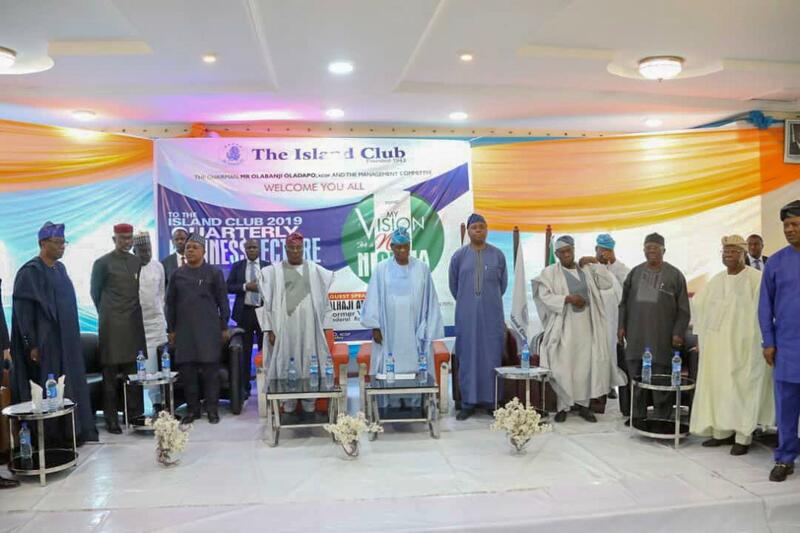 He attended the Lagos Island Club Quarterly Business Lecture. In attendance were Senate President, Bukola Saraki, PDP National Chairman, Uche Seondus, a former deputy national chairman, Bode George, Lagos PDP governorship candidate, Jimi Agbaje, former Cross River state governor, Liyel Imoke among others. Meanwhile, Atiku, on Tuesday released an open letter he wrote to the Ambassadors of France, Germany, EU, US and UK High Commissioner. In the memo, the former vice president listed what he described as constitutional beaches by President Muhammadu Buhari. He insisted that Buhari was desperate to remain in power, while giving instances of the All Progressives Congress (APC) disregard for court rulings. Guardiola added: “I know how my players are feeling right now and I am close to them and by them. The Pan-Yoruba socio-political group, Afenifere has challenged President Muhammadu Buhari to publicly declare his assets. Leader of Afenifere, Chief Reuben Fasoranti made the call while reminding Buhari of the promises he made in 2014 that he would declare his assets. In a letter he personally signed entitled “I pledge to Nigeria”, Fasoranti said the president had vowed before the electorate that all his political appointees would only earn salaries and allowances as prescribed by the Revenue and Mobilisation and Fiscal Allocation Commission (RMFAC). He said: “I pledge to publicly declare my assets and liabilities, encourage all my appointees to publicity declare their assets and liabilities as a pre-condition for appointment. “It is now four months to the end of the four-year tenure of Mr. President and this pledge has not been fulfilled. Instead of doing what he pledged, presidential aides have been giving all manners of untenable excuses in the last three and a half years. The Afenifere leader stated that a leader must not set for others, standards that are very difficult for him to meet in the order of “do as I say and not as I do”. He said: “The jeopardy of President Buhari anti-corruption war has really been one set of rules for the goose and another set for the gander. “Afenifere therefore asks the president to immediately make his assets declaration form public so Nigerians can hold him as a man of his words. The Director General of Voice of Nigeria (VON), and a chieftain of the All Progressives Congress (APC), Osita Okechukwu, on Tuesday, said that President Muhammadu Buhari-led administration was not sharing public funds, rather was investing the funds, in the nation’s critical infrastructures. Okechukwu, who stated this in an interview with BENGBENRO, shortly after the APC Presidential campaign rally held in Aba, Abia State on Tuesday, reiterated the commitment of the Buhari-led administration to tackle the infrastructural deficits in the country, so as to enable investments and businesses thrive, for the general well being of the people. The APC chieftain also lauded the recently-commissioned 9.5MW Independent Power Plant at Ariaria Market in Aba by President Buhari, saying, that would enhance the economic and industrial development of the commercial city (Aba). Okechukwu, however, commended the people of Abia State and South East in general for the warm reception being accorded to the APC presidential candidate and the incumbent, President Buhari, urging them to massively vote for APC to enable south East zone to take its shot at the Aso villa in 2023. His words, “I thank the people of Abia State for their turn out to welcome Mr. President. It shows that the South East is coming to the reality that President Muhammadu Buhari is the best for the country today. “Because, he had embarked on most laudable infrastructural development of the country, spanning from 5000 kilometres of federal roads,5000 kilometre of standard railway,additional 5000 megawatts of electricity. “What was demonstrated today, in the Ariaria Market Aba, where Mr President in the past year, had instructed that major markets and industrial bases of the country should have mini solar power plants. “And the Ariaria Market own has been commissioned, and the traders are happy about that, and also the manufacturing concerns, especially the small scale entrepreneurs and Medium scale entrepreneurs in Aba. “It is a good joy that President Buhari, is not sharing public funds, but he is investing the people’s money in critical infrastructures, so that the nation’s economic development will prosper, and our people, the entrepreneurs can expand their economic talents in different sectors of economic and industrial development. All Progressives Congress National Leader and Co-Chair of the party’s Presidential Campaign Council, Asiwaju Bola Tinubu, has questioned former Vice President Atiku Abubakar’s claim to being a democrat and defender of democracy, saying this rebirth as a defender of democracy must have taken place only a few hours ago. He asked: “Where was he (Atiku), his voice and action during Abacha’s suffocating maximum rule? Was he not a member and cheer-leader of one of the five Abacha parties aptly described then as five leprous fingers of Abacha? Did he even have the courage to visit his mentor, late Major General Shehu Musa Yar Ádua, in jail for fear of Abacha stopping him from running for the governorship of Adamawa? Asiwaju Tinubu also said contrary to the impression created by the PDP presidential candidate (Atiku) that the Chief Justice of Nigeria Walter Onnoghen was removed, he was only asked to step aside for the allegations against him to be investigated and could be reinstated if found not guilty. The statement personally signed by Asiwaju is titled “REPLY TO ATIKU’S STATE OF THE NATION”. It reads: “The PDP’s presidential candidate, former Vice President Atiku, recently made comments regarding suspension of CJN Onnoghen. Atiku’s release is entitled “State of the nation address”. I encourage everyone to read it. In its disregard for the truth and patent misrepresentations, it will go down in political history as a classic of self-incrimination. Atiku thinks the piece exalts him. Instead it evinces his penchant for wilful misstatement that make him unfit for the office he now seeks and has always coveted. “You now speak of democracy and the need for executive restraint. But such verbal finery never crossed your lips or traversed your pen when you and Obasanjo improperly removed Senate Presidents more easily than a trendy cad exchanges a pair of shoes or changes the subject of his false affections. Your love for democracy is such that you were recently observed apologising to the PDP for not rigging the Lagos 2003 gubernatorial polls as you did the polls in the other Southwestern states. “A few weeks ago in a televised broadcast you even revealed to the people that your official policy envisioned the base enrichment of your friends should you achieve the presidency. “Strange that you would choose to depict the current situation so inaccurately as to stir emotions unduly. You claim that CJN Onnoghen has been removed. However, this is not so. He has been temporarily suspended. You and your advisors should know and recognize the vast legal difference between “suspension” and “removal.” Yet you persist in conflating the two in what you say is a pursuit of justice. While true you may be in pursuit of something. It is not justice. “It is ironic that Atiku of all people throw such darts at President Buhari. Buhari actually exercised considerable restraint in this matter. He has reasonably balanced concerns about the integrity of the judiciary with concerns for the individual rights of the accused. Nothing has been taken from the CJN that cannot be restored if the facts warrant such restoration. Thus, President Buhari conditionally suspended the CJN. By doing so, this allows for the case to move forward without the CCT or others fearing the CJN might use his position to unduly interfere with proceedings. If the CJN is exonerated, then he will return to his position. If not exonerated, then a more permanent discipline awaits him. “It is curious that Atiku would take up the marker of a jurist who has enjoyed the sweet but hidden benefits of several million dollars of mystery money passing through his secret bank accounts, Even when discovered, these accounts held several hundred thousands of dollars in them. “Yet, Atiku now cries the anguished cry of a man who thought he had won the lottery only to find he had misread the last number on his claim ticket. Or perhaps these are the tears of a man who thought he had invested in a sure deal only to see the reason for the investment evaporate before his very eyes. Now, Atiku and his cohort seek to turn their personal disappointment into a burning national issue. They seek to manufacture a constitutional crisis where none exists. “There is no need to quake at the solitary incident of the interim suspension of a justice pending the legal resolution of serious criminal claims against him. If this matter is shorn of the political trappings it has acquired, there is no fairer way to handle the matter. “Atiku claims to be a democrat and defender of democracy, but where was he, his voice and action during Abacha’s suffocating maximum rule? Was he not a member and cheer-leader of one of the five Abacha parties aptly described then as five leprous fingers of Abacha? Did he even have the courage to visit his mentor, late Major General Shehu Musa Yar Ádua, in jail for fear of Abacha stopping him from running for the governorship of Adamawa?